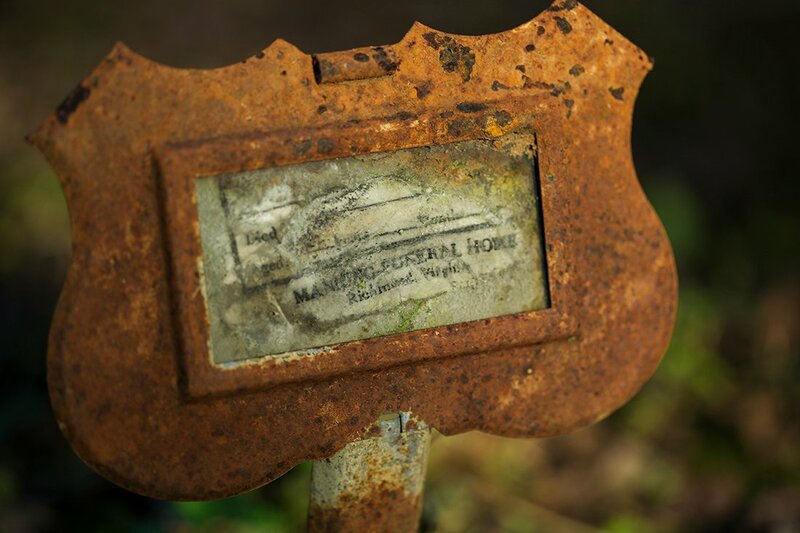 "Notice!!! 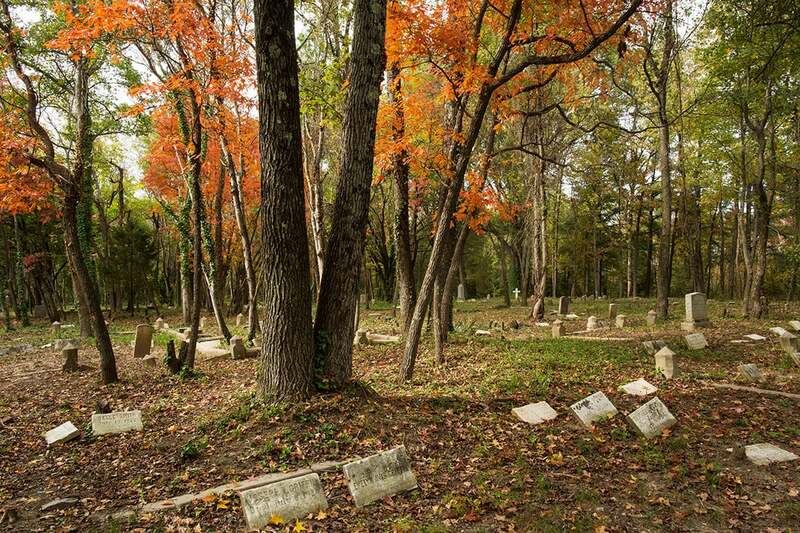 The East End Memorial Burial Association of Richmond informs the public that having purchased six (6) acres of land, situated in Henrico County . 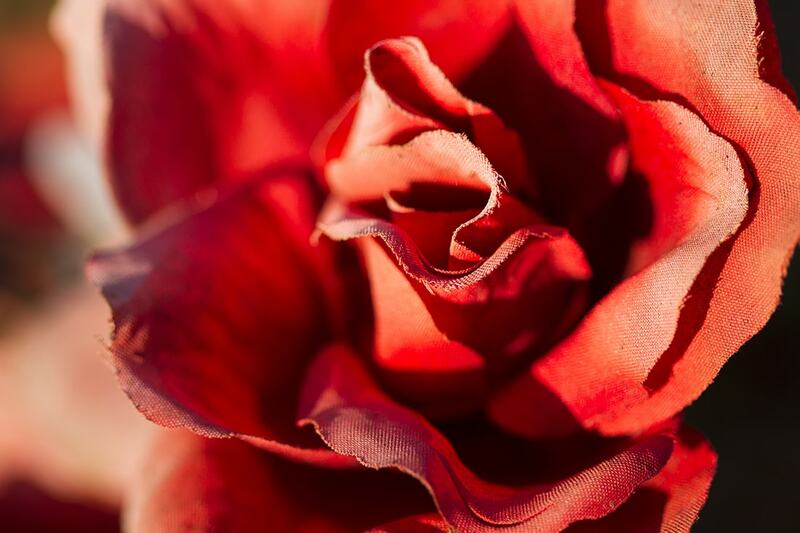 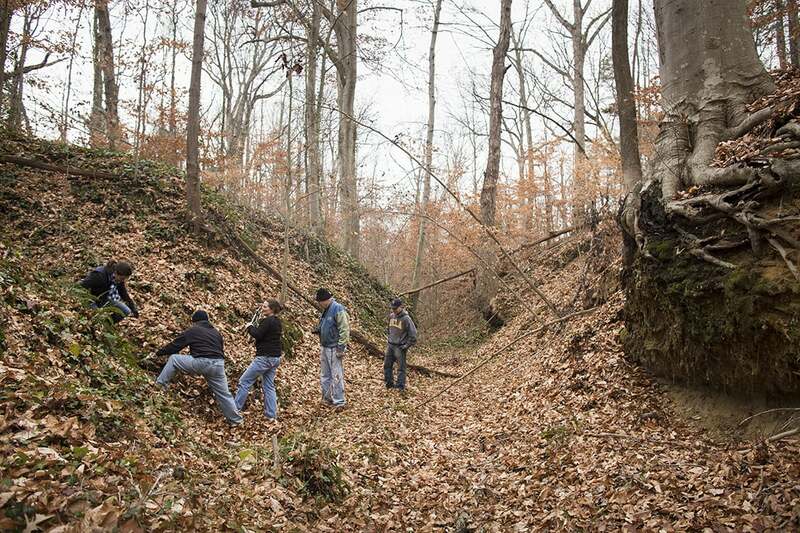 . . they are disposing of the same, in sections, half sections and at the following terms. 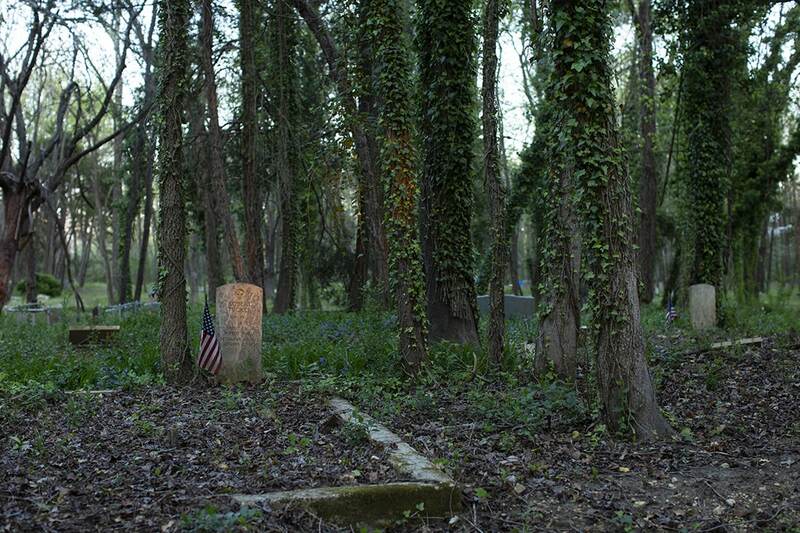 Sections, $25.00 and Half Sections, $15.00. 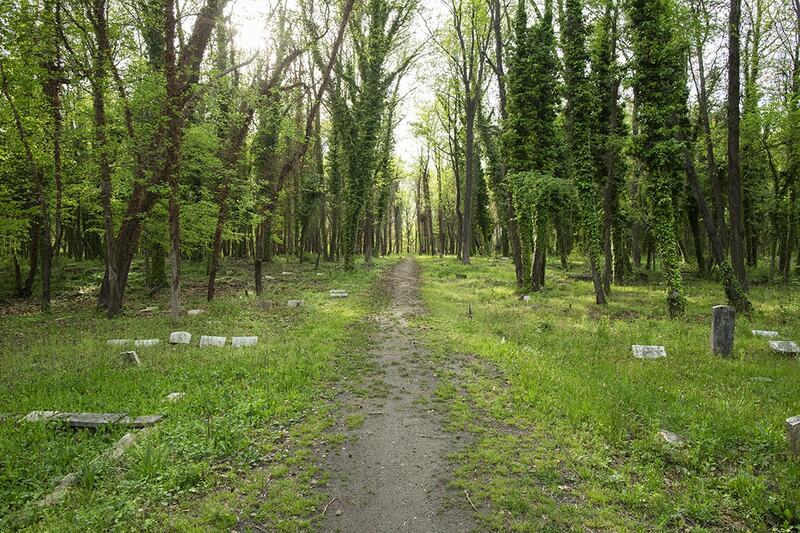 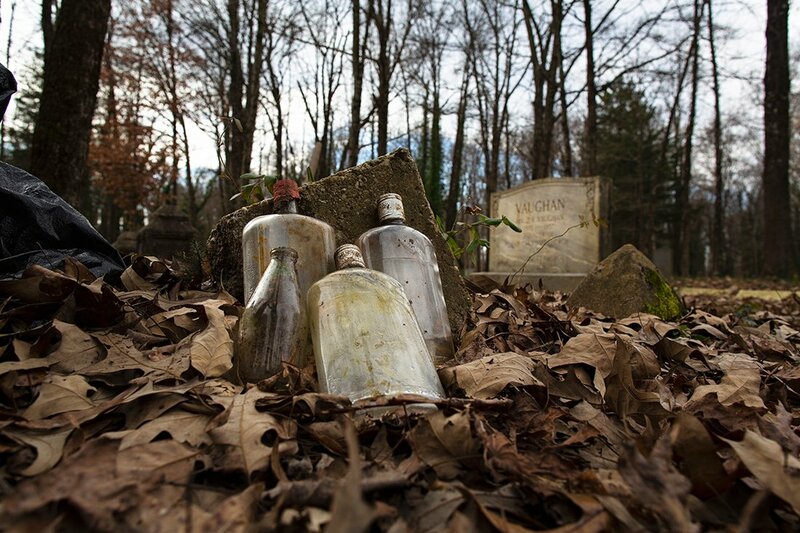 The situation of this Cemetery is high, dry and rolling and accessible to the Richmond Traction Street Railway and Seven Pines Railway lines, adjoining Oakwood Cemetery." 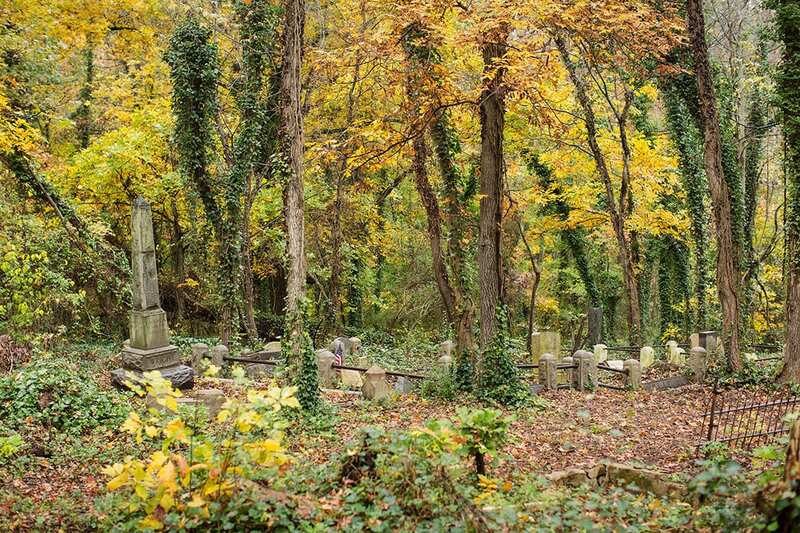 Much of what is now East End was originally incorporated as Greenwood Cemetery in 1891 by an association of prominent African Americans. 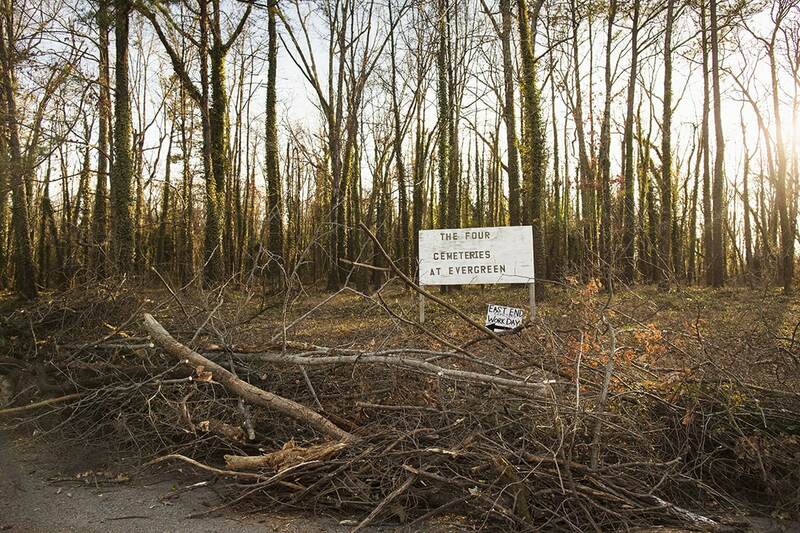 After defaulting, they sold the property back to its original owners for five dollars. 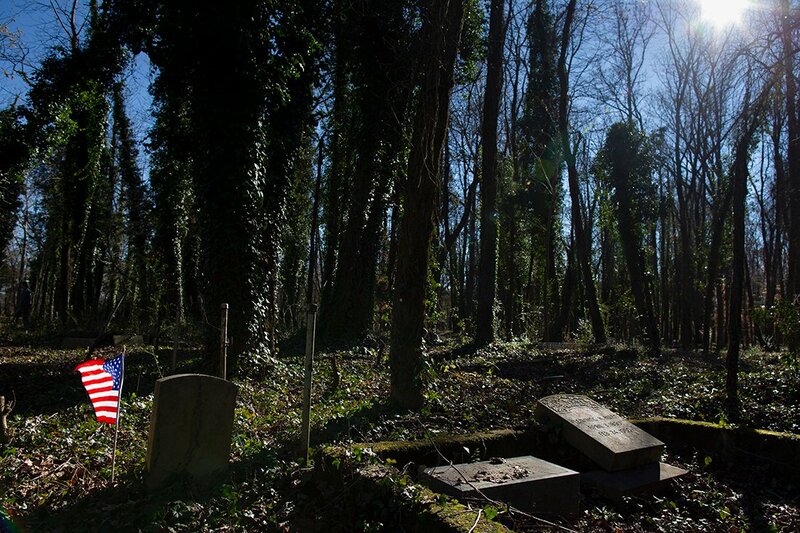 A new group of leading lights took over in 1897, when it became East End (though it continued to be known as Greenwood well into the 20th century). 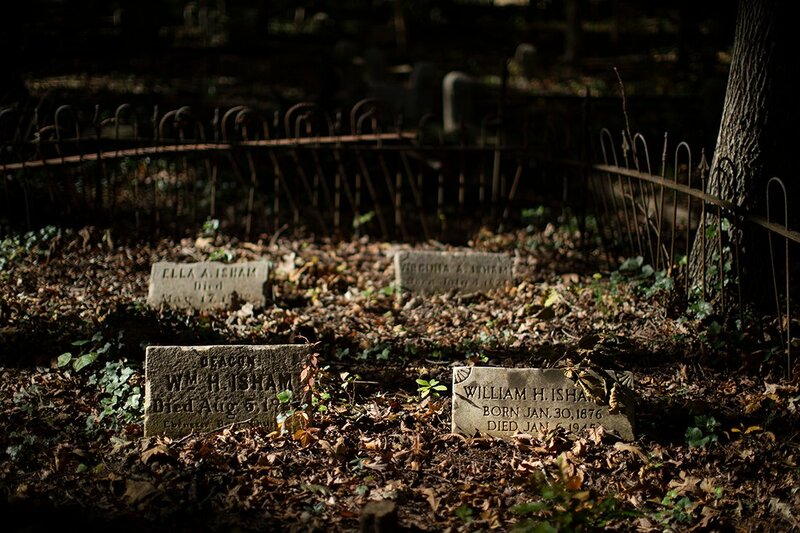 Other back-and-forths followed. 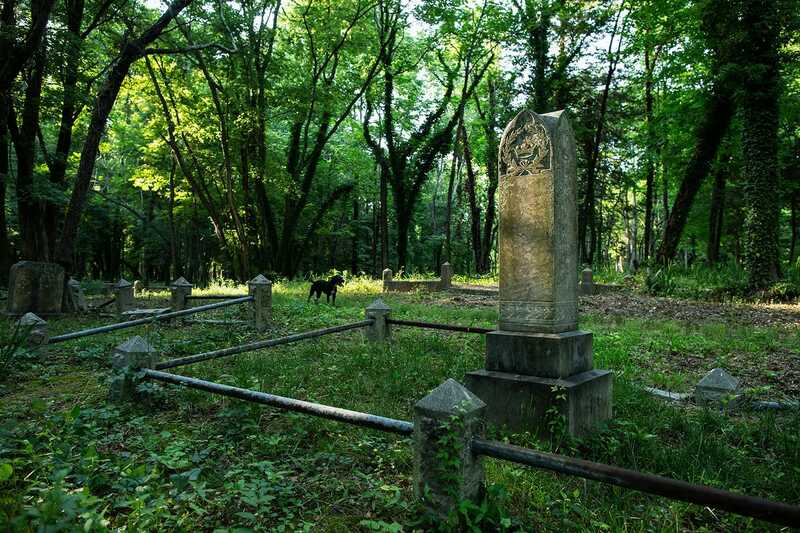 No arrangements for perpetual care were ever made, so when the community that supported the cemetery began to disperse under the weight of many forces — the attack on African American civil rights and economic power in the wake of Reconstruction; the physical destruction of Jackson Ward; the demise of de jure segregation, which opened burial grounds in the city proper to African Americans — East End deteriorated. 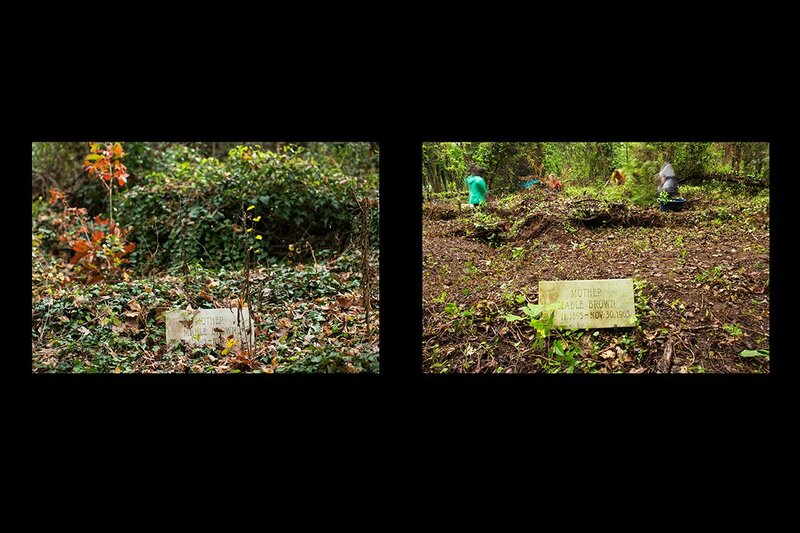 When John Shuck and a small band of volunteers began working at the cemetery in the summer of 2013, it had all but disappeared from view. 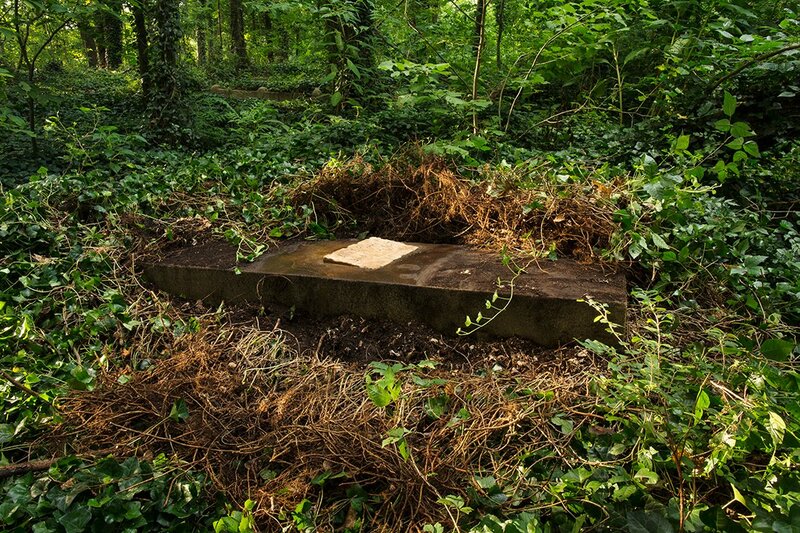 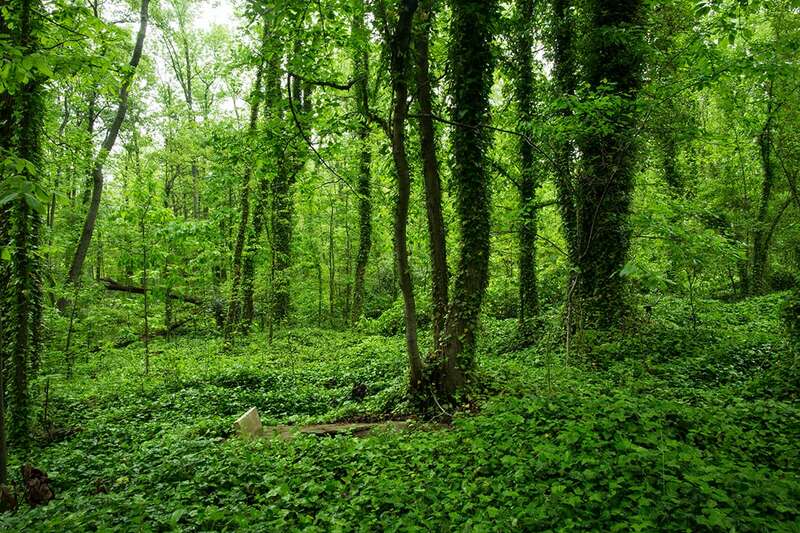 In the place of an immaculate, formally laid-out burial ground stood a sixteen-acre forest, nearly impenetrable in parts. 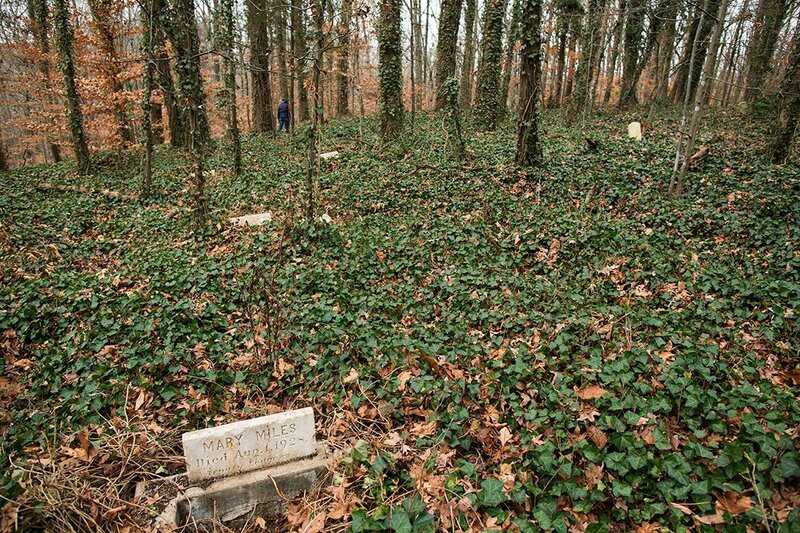 English ivy, an invasive species, had taken over, climbing the trees and thickening over time, blanketing the thousands of graves so completely that only the tallest headstones peeked through here and there. 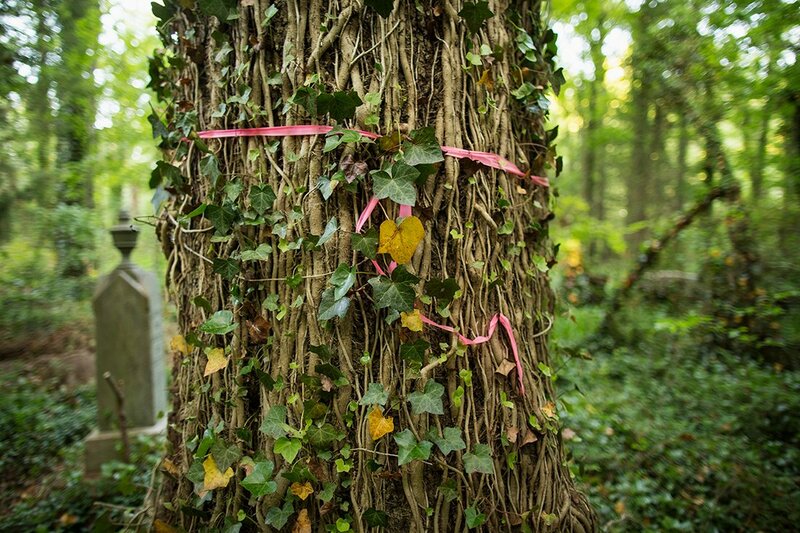 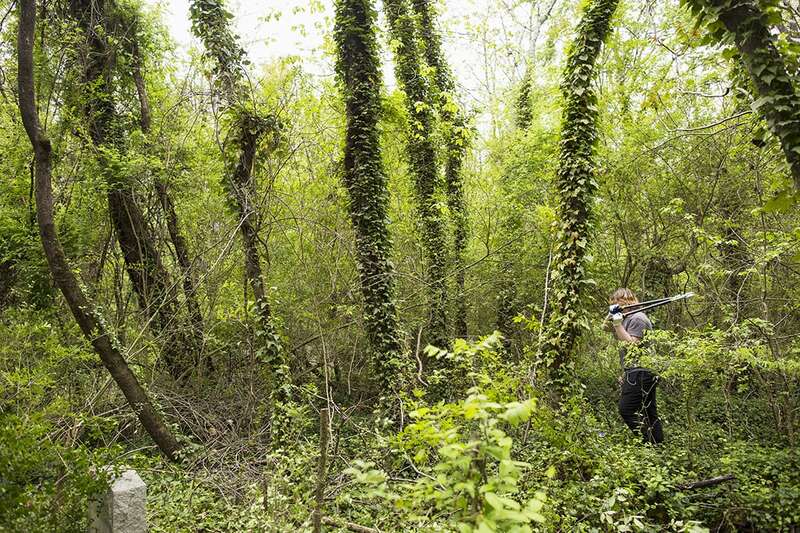 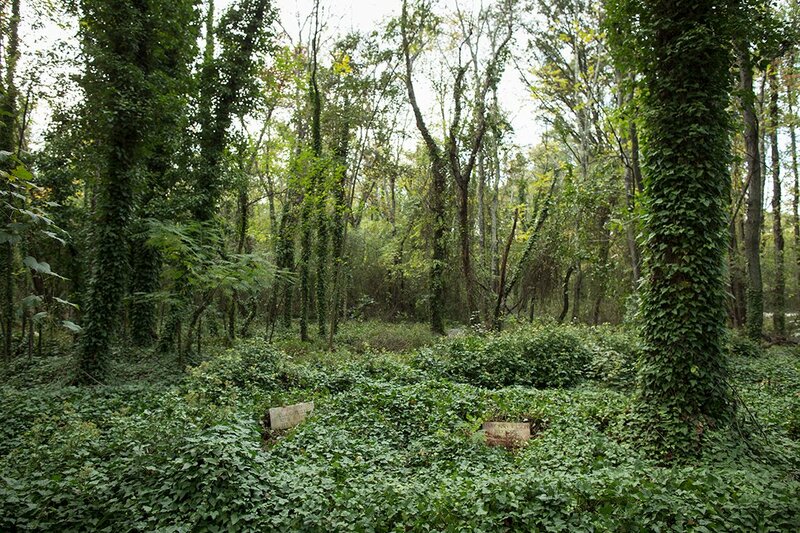 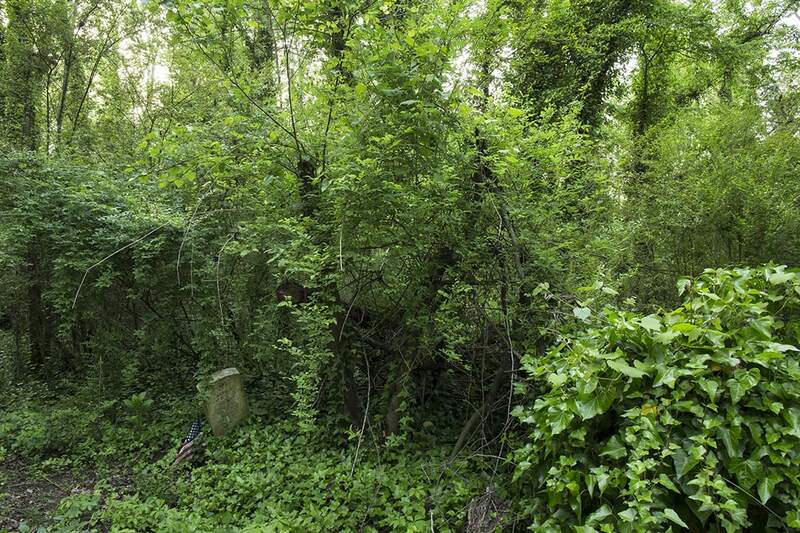 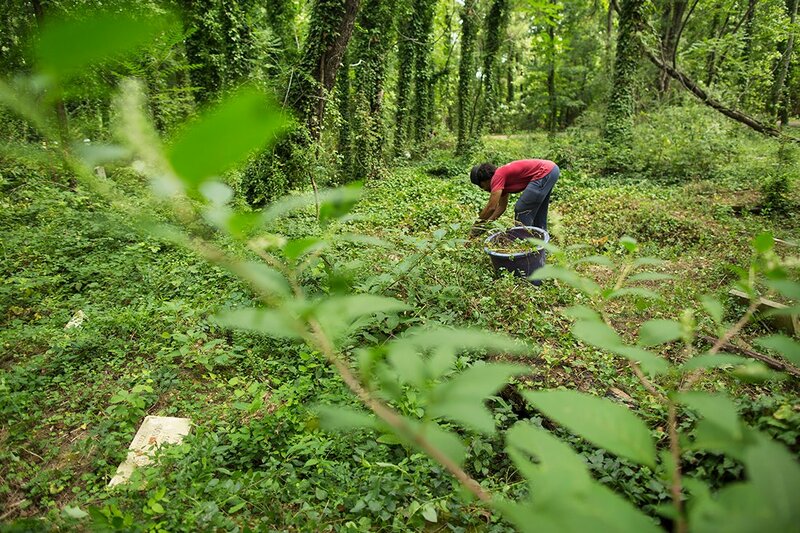 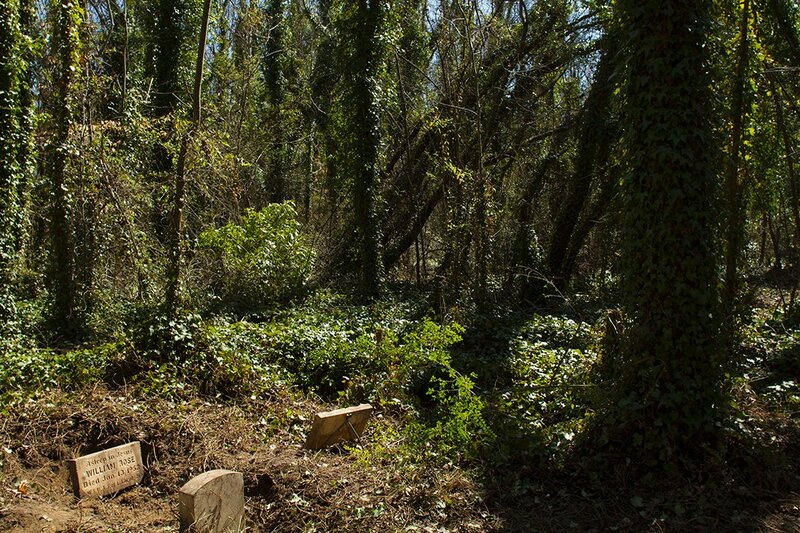 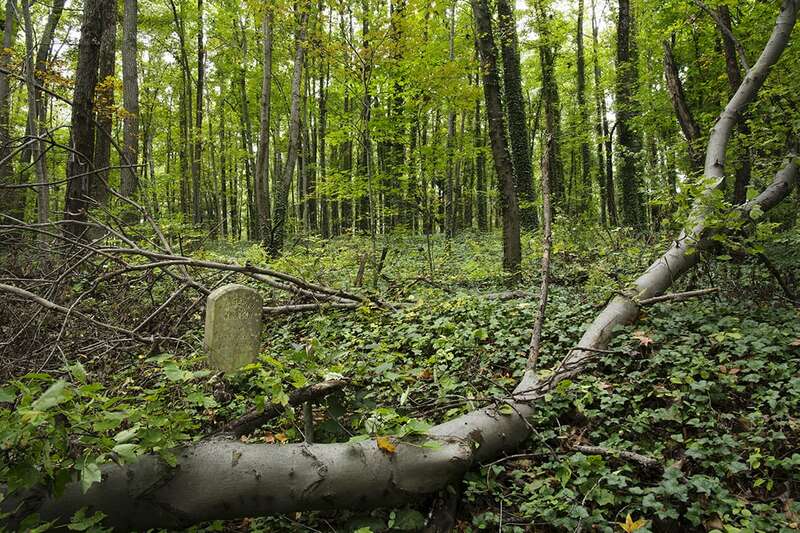 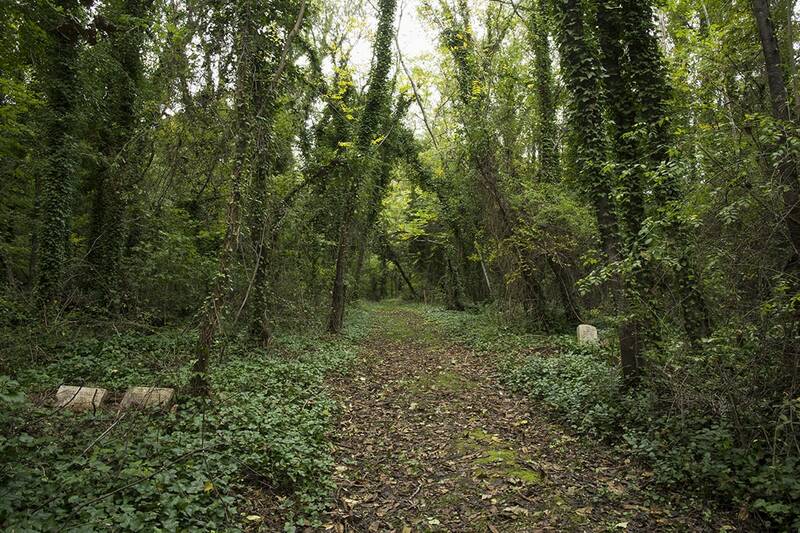 Some families with loved ones buried at East End had struggled mightily to maintain their plots over the years, carving small islands out of the overgrowth; others could no longer find their way in the tangle of vines. 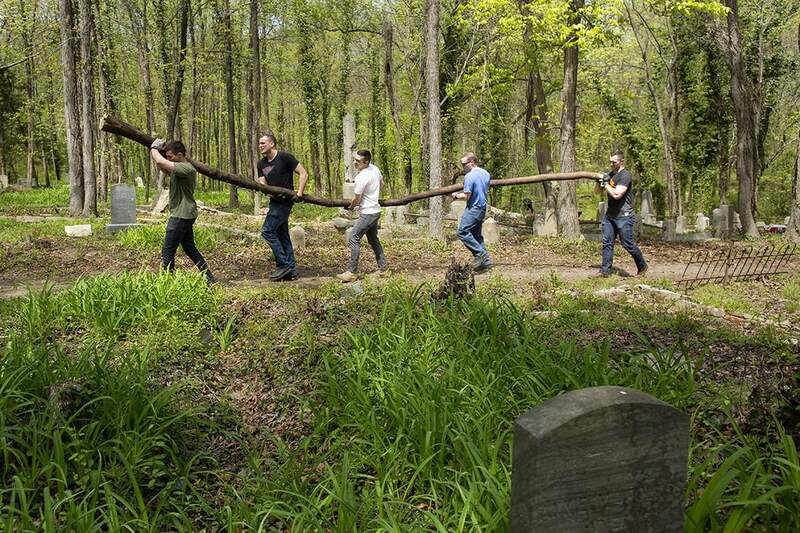 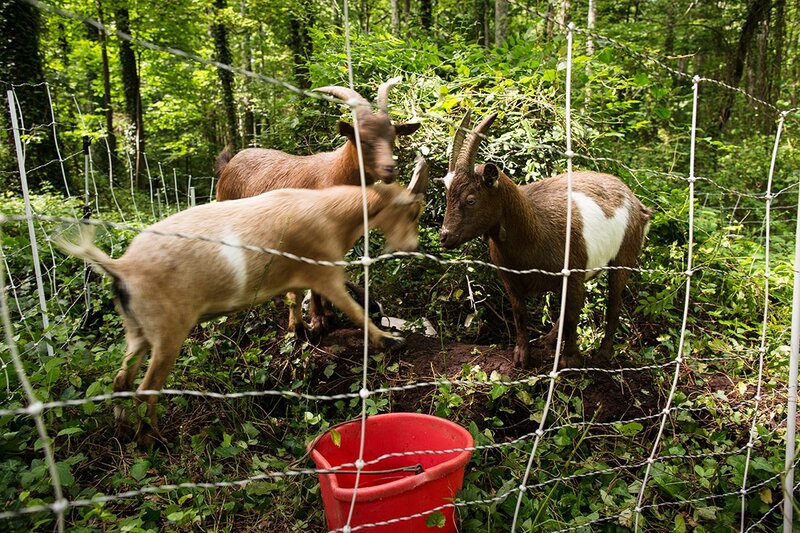 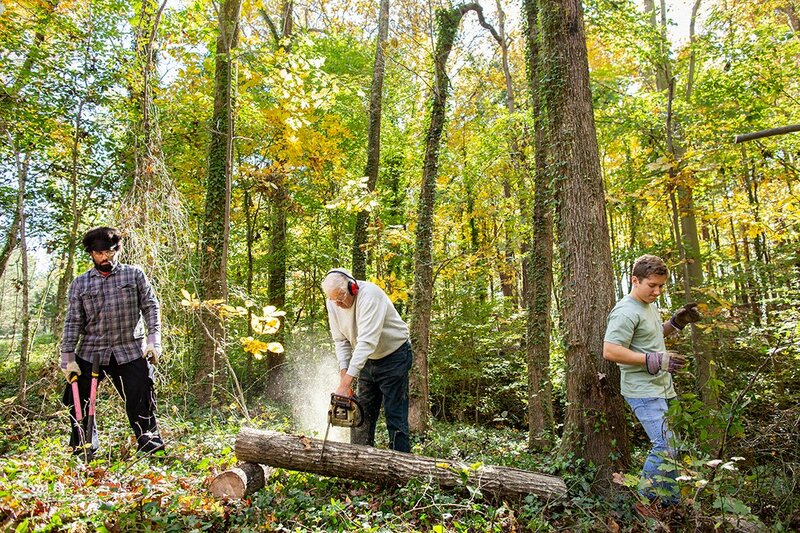 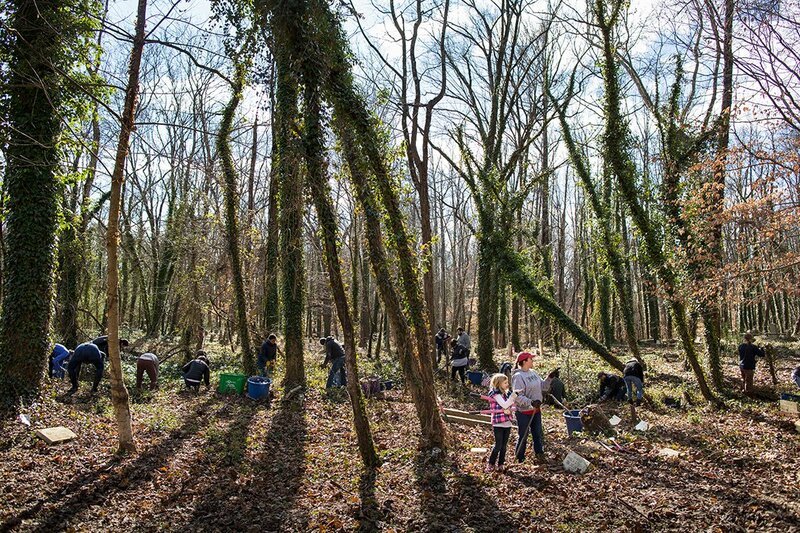 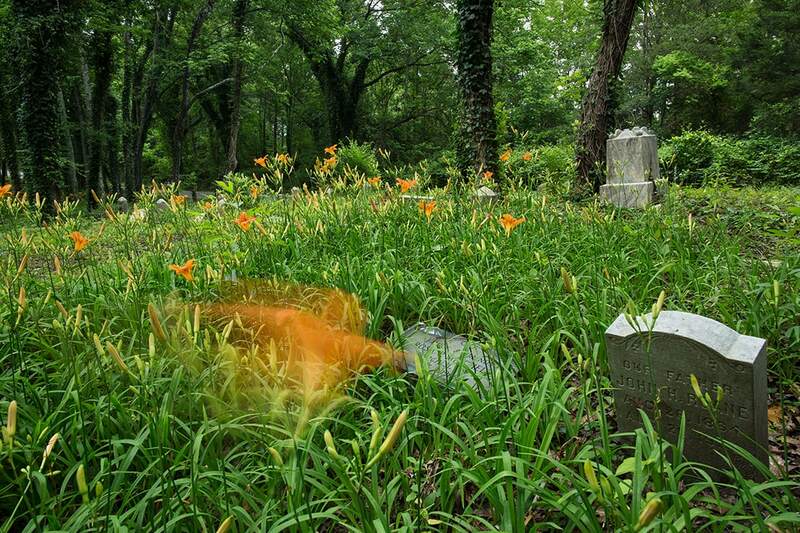 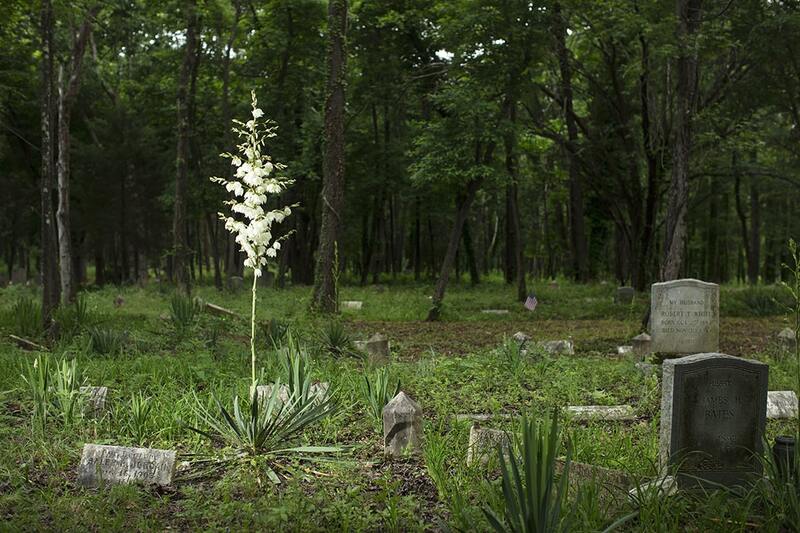 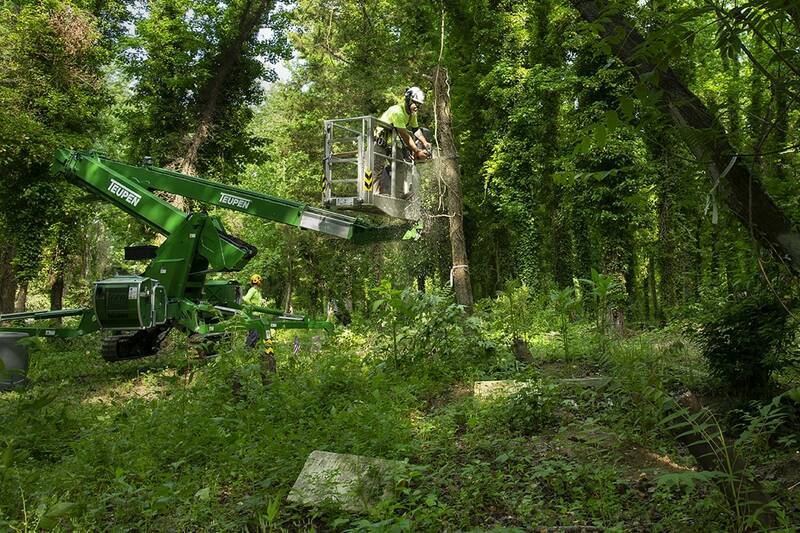 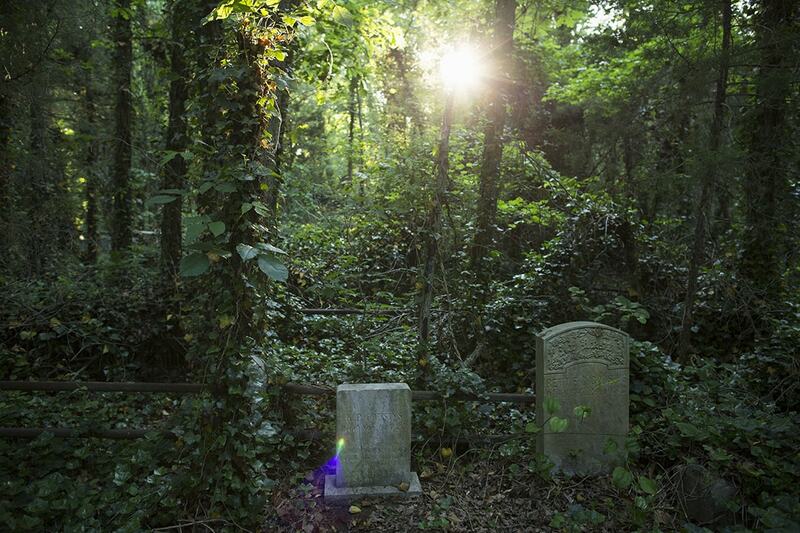 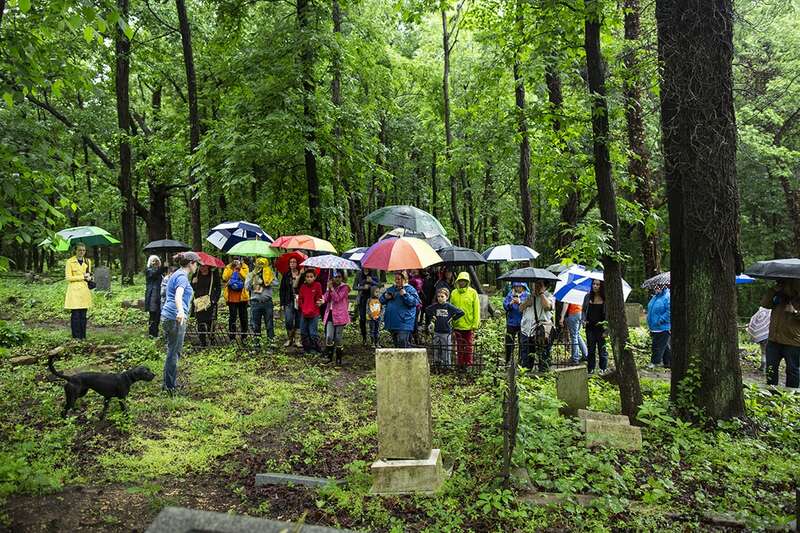 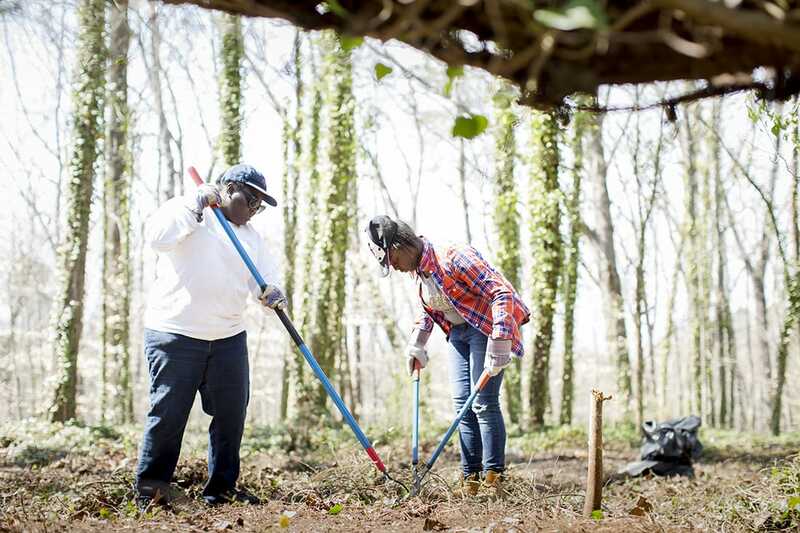 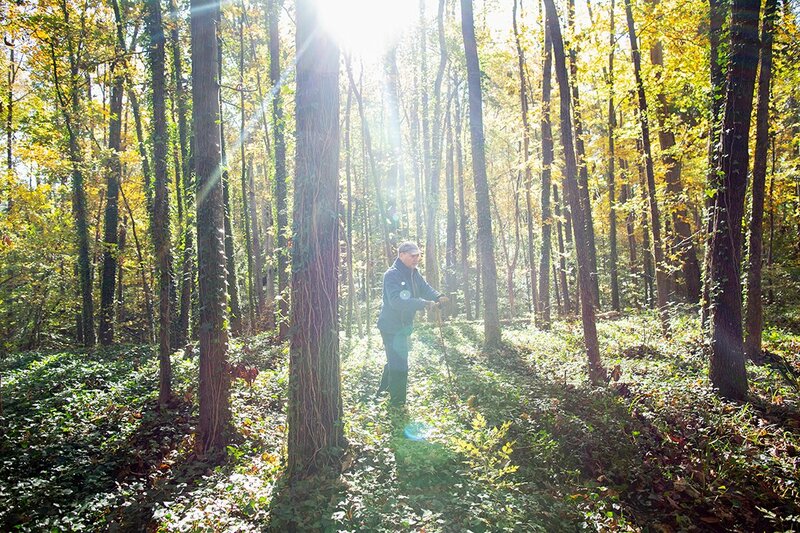 In the past five years, volunteers — under the leadership of the Friends of East End — have reclaimed roughly six acres of cemetery, almost entirely by hand. 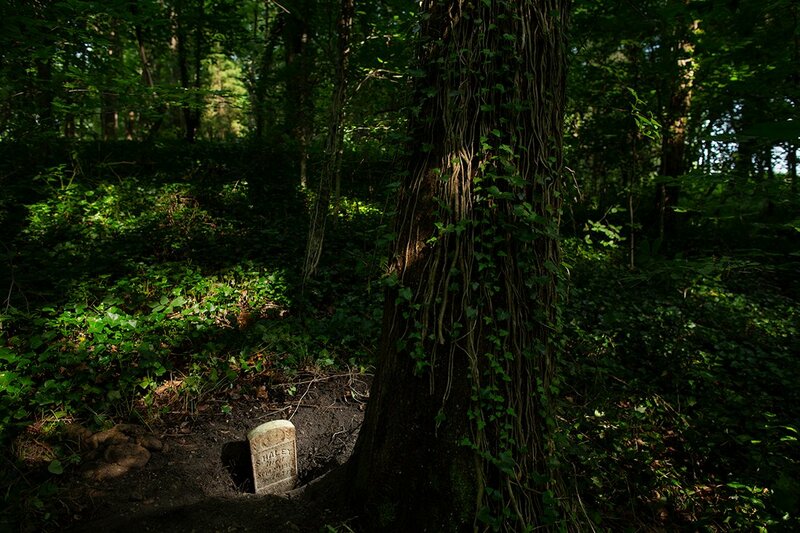 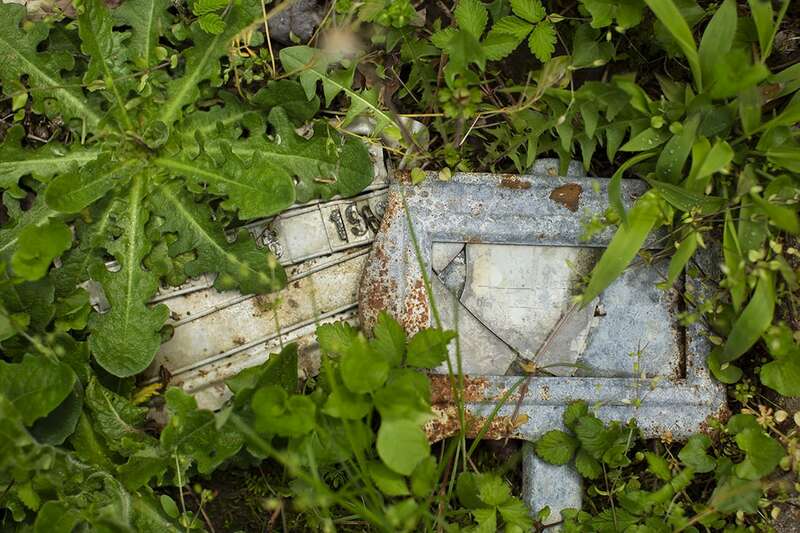 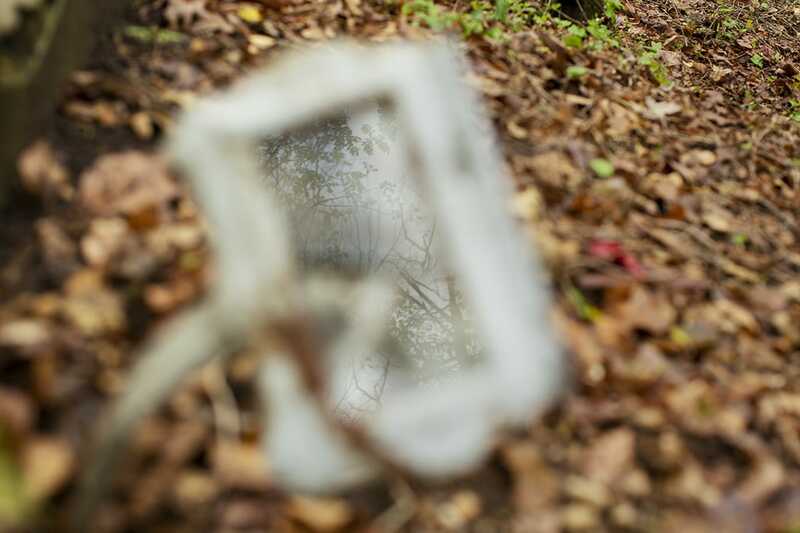 Nearly three thousand grave markers have been uncovered and documented; at least that many unmarked graves have been found. 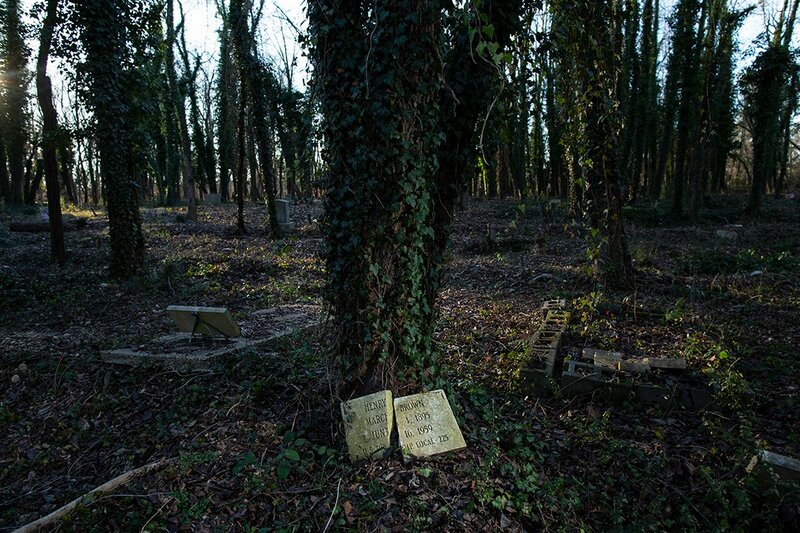 Given the density of burials, we estimate that more than seventeen thousand people are interred at East End, but in the absence of records, we may never know for certain. 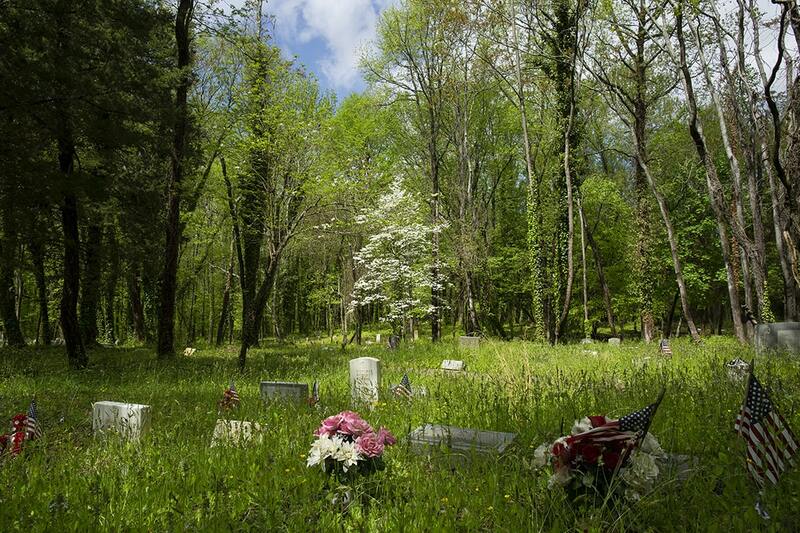 Spring in an unclear section of the cemetery, April 22, 2017. 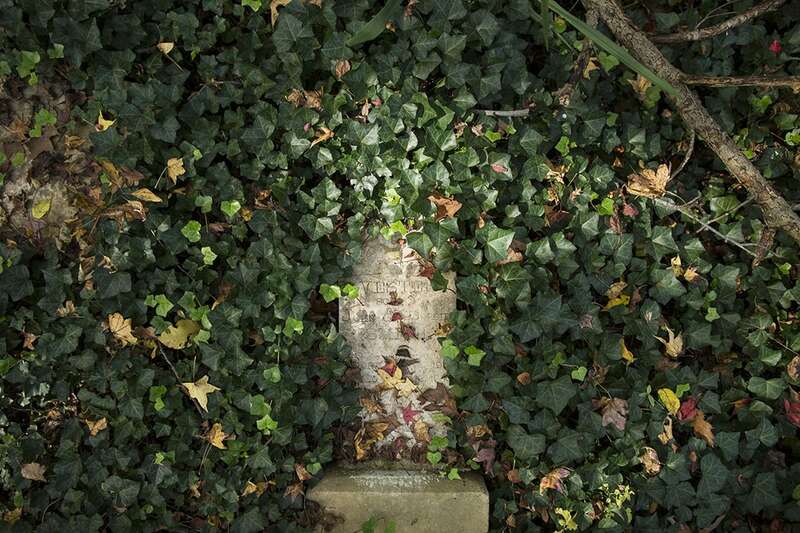 Fractured headstone in the older section of the cemetery, November 4, 2018. 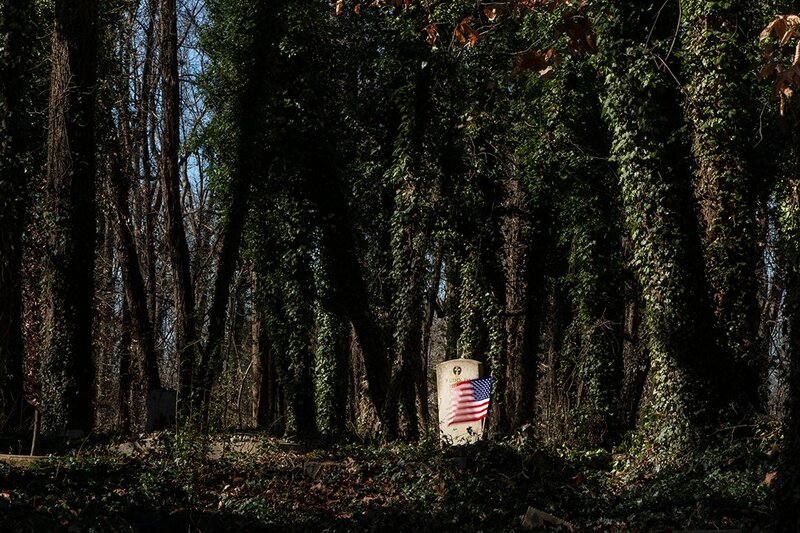 East End Cemetery, March 29, 2015. 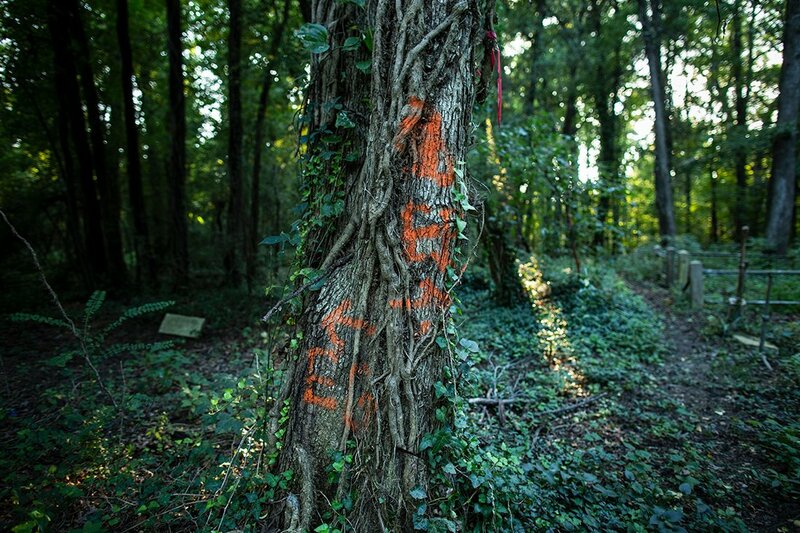 26 April 2018—East End Cemetery, Henrico County and Richmond—Before and afters; scenics; broken temporary/courtesy markers. 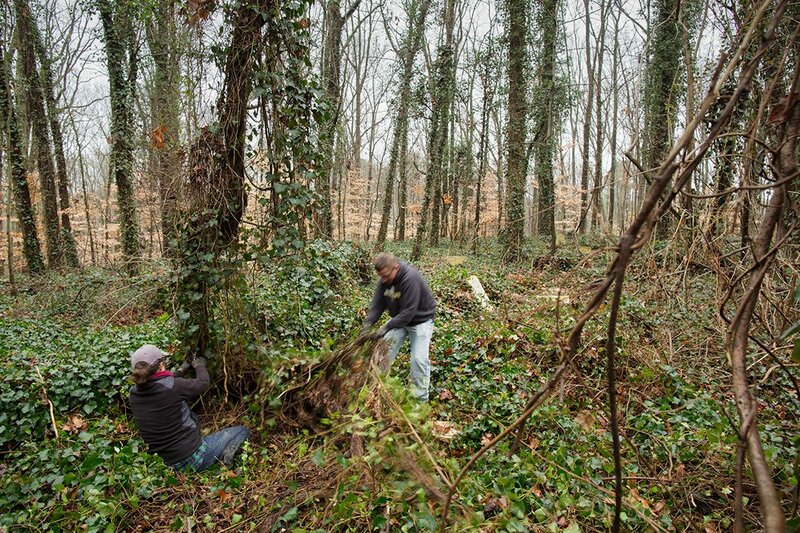 16 December 2017—East End Cemetery, Henrico Co., and Richmond, VA—Boy Scouts and Scoutmasrter Alan Meekins clear brush on the property line between East End and Evergreen. 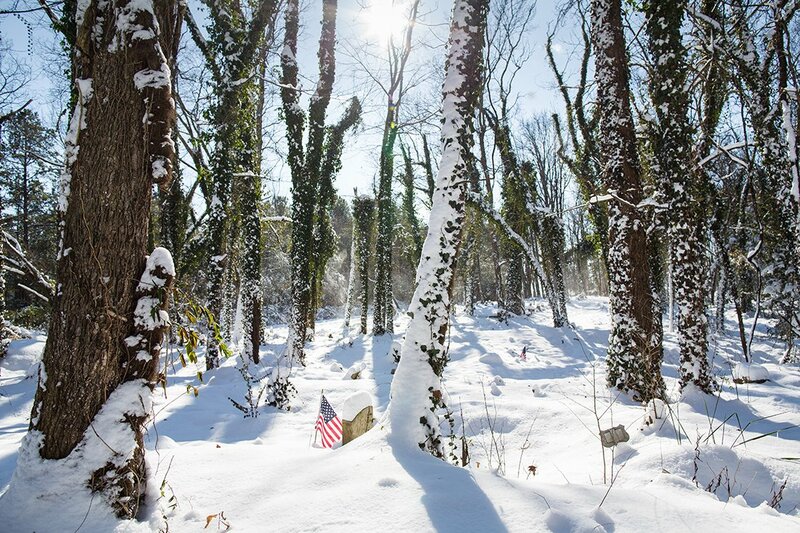 21 March 2018—East End Cemetery, Henrico Co., VA—Scenics, snow at the cemetery; flags; signage. 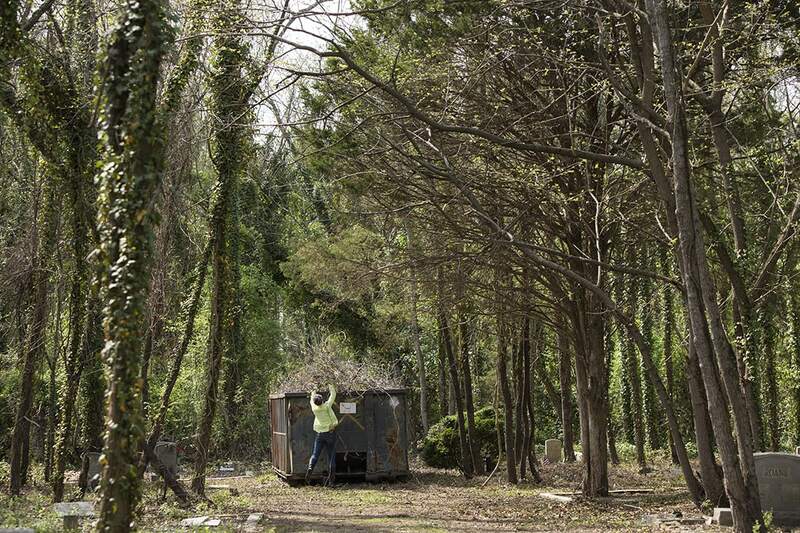 East End Cemetery, April 18, 2015. 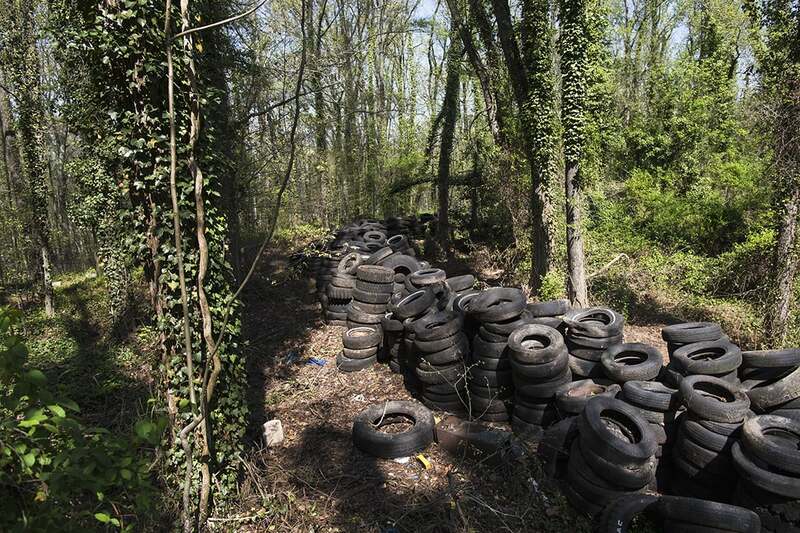 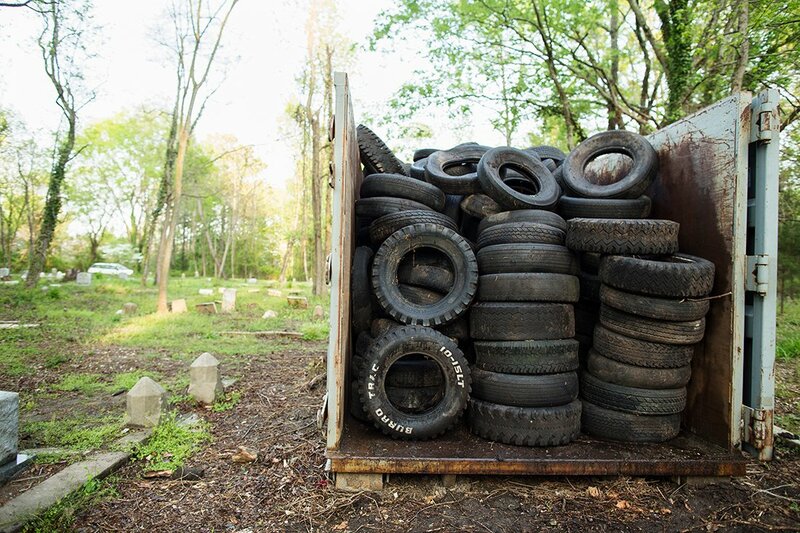 Illegally dumped tires ready for disposal. 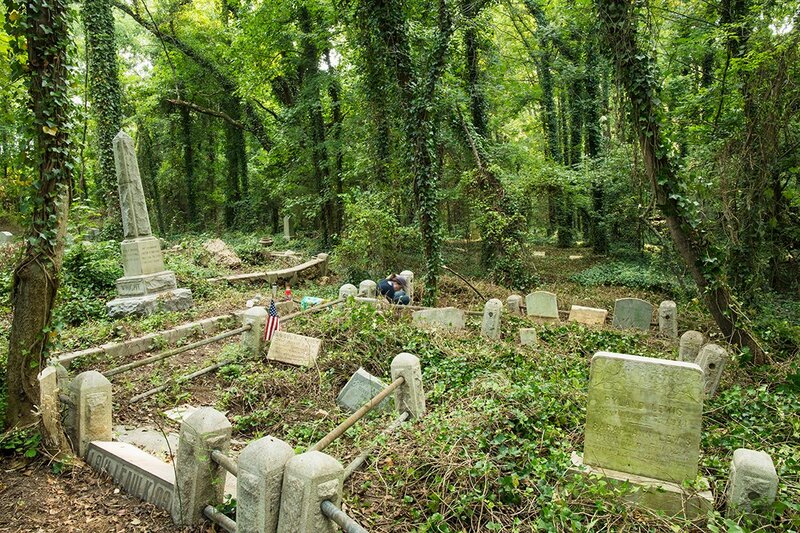 22 September 2018—East End Cemetery, Henrico Co. and Richmond, VA—University of Richmond students from APO (Alpha Phi Omega), a national service fraternity; headstones, markers, and sills; some of the core volunteers. 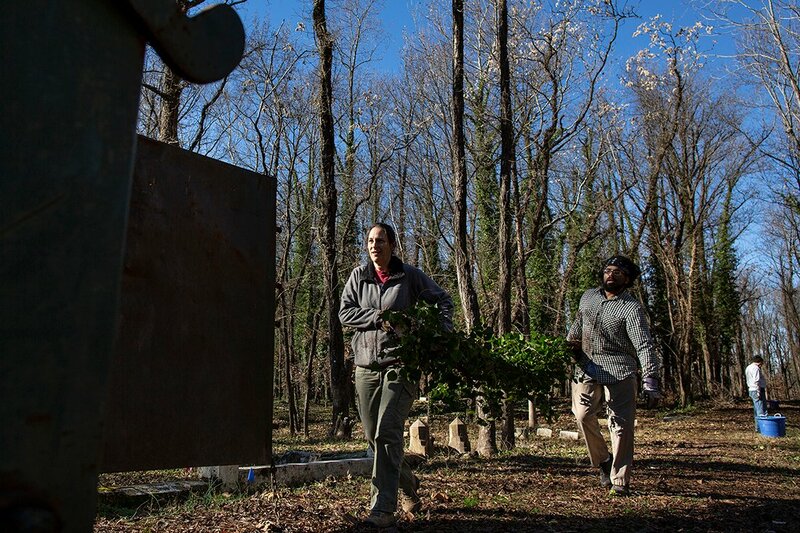 22 April 2018—East End Cemetery—Work day with members of the 205th Class of the Judge Advocate General's School, Charlottesville, Virginia, and Richmonders. 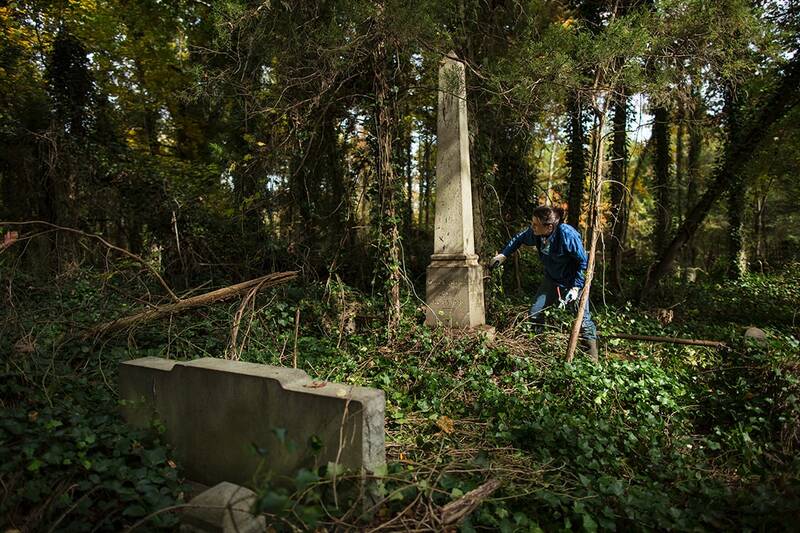 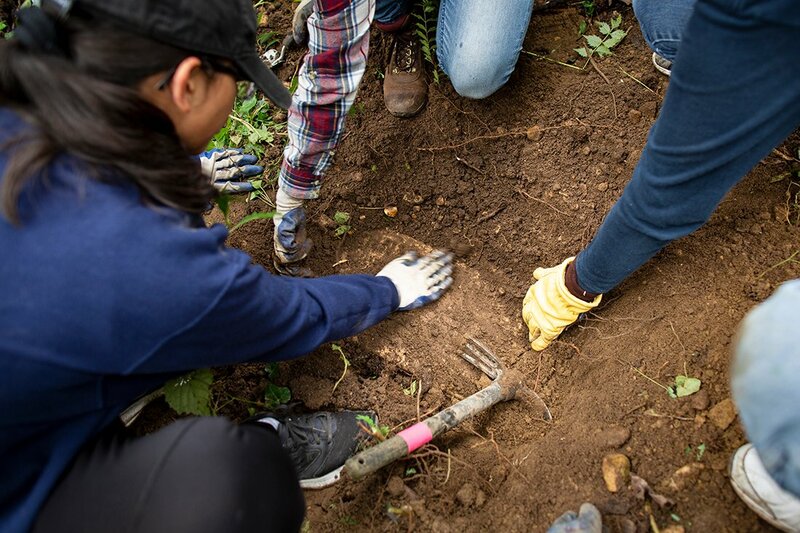 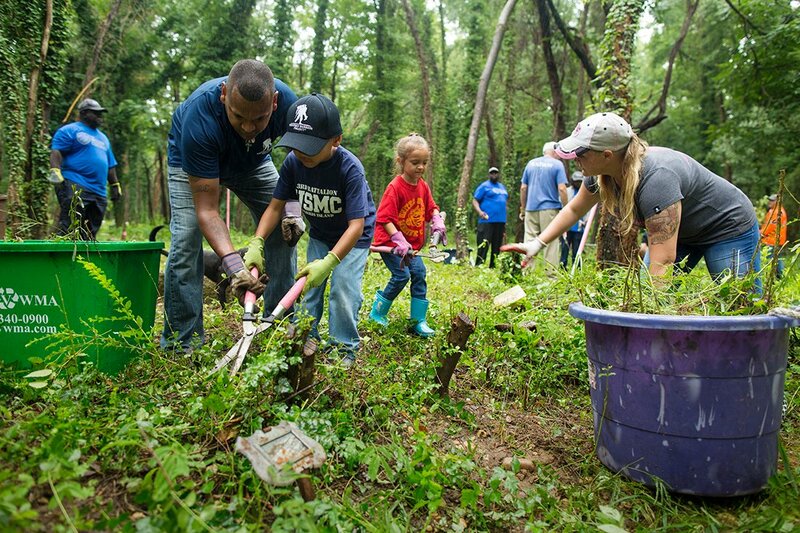 29 September 2018—East End Cemetery, Henrico County and Richmond, VA—Work day with students from VCU History Now Club. 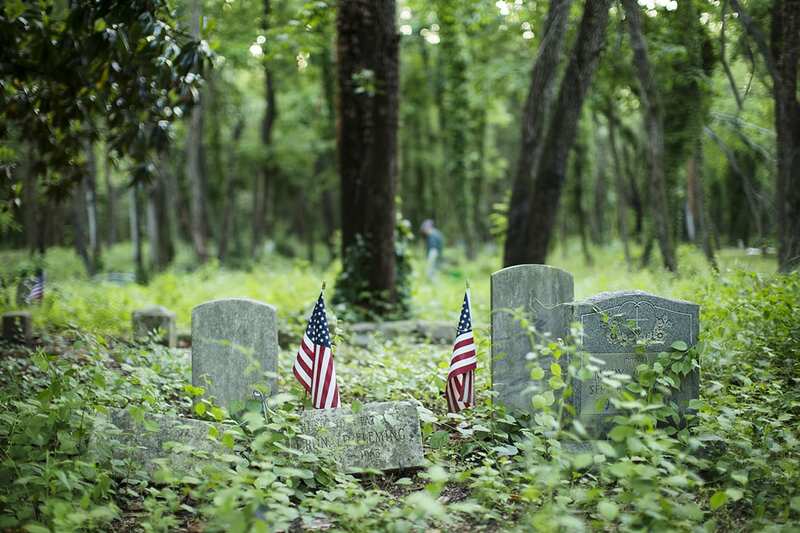 29 July 2017—East End Cemetery, Henrico Co. VA—Volunteers, largely veterans who are part of the Mission Continues and Wounded Warrior Project and their relatives as well as some active duty service members, clear plots. 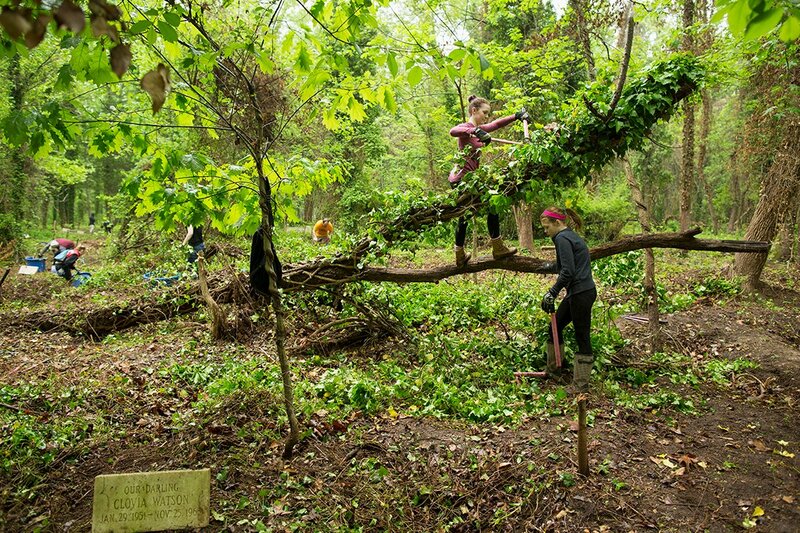 Volunteers during a spring work day, April 22 2017. 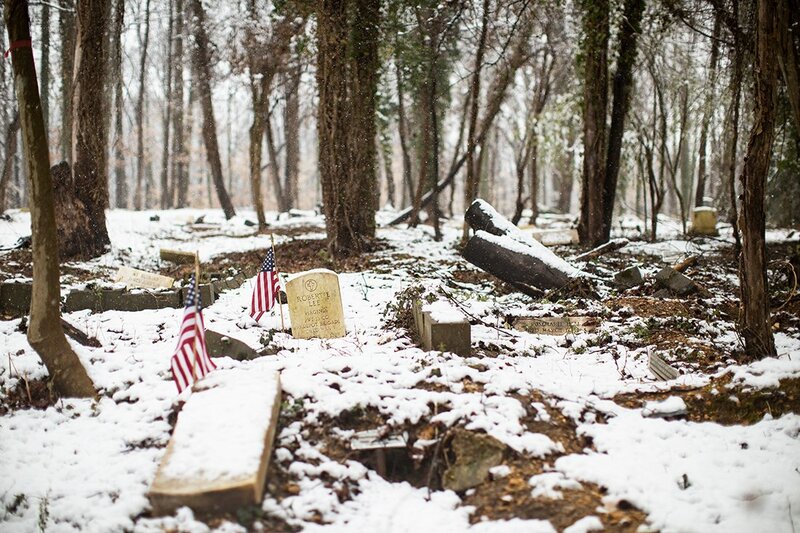 24 December 2018 East End Cemetery, Henrico Co. and Richmond, VA—Veterans headstones; scenics. 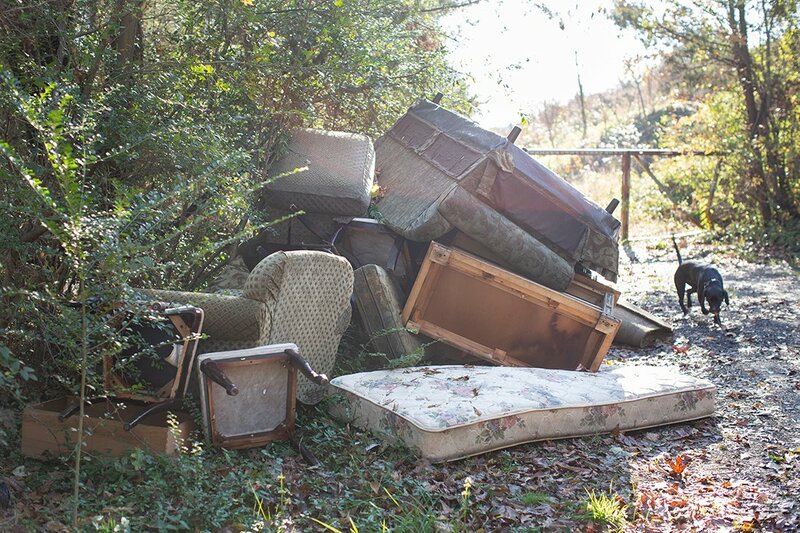 17 November 2018—East End Cemetery, Henrico Co., VA—Furniture dumped on the road into the cemetery. 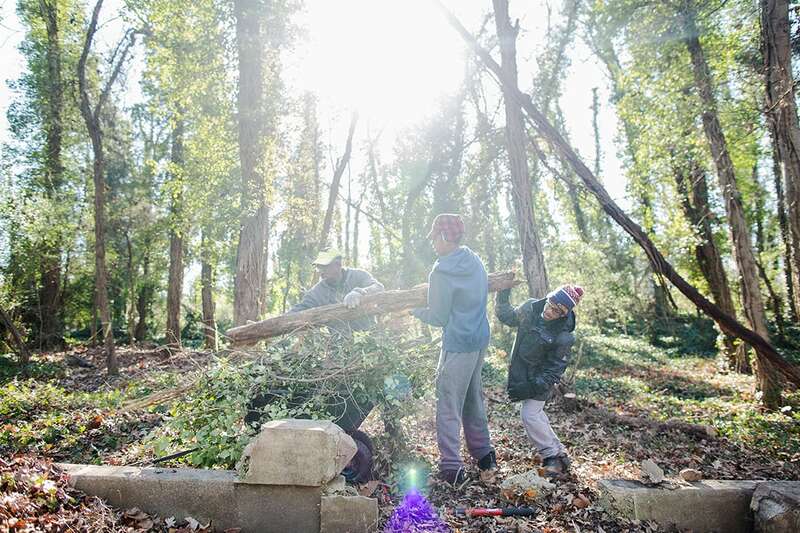 25 December 2018— East End Cemetery, Henrico Co. and Richmond, VA—Veterans headstones; scenics; Christmas photo of B, E, and T.
3 November 2018—East End Cemetery, Henrico County, VA—Work day with students from Lambda Chi Alpha fraternity, one VCU student, and core volunteers. 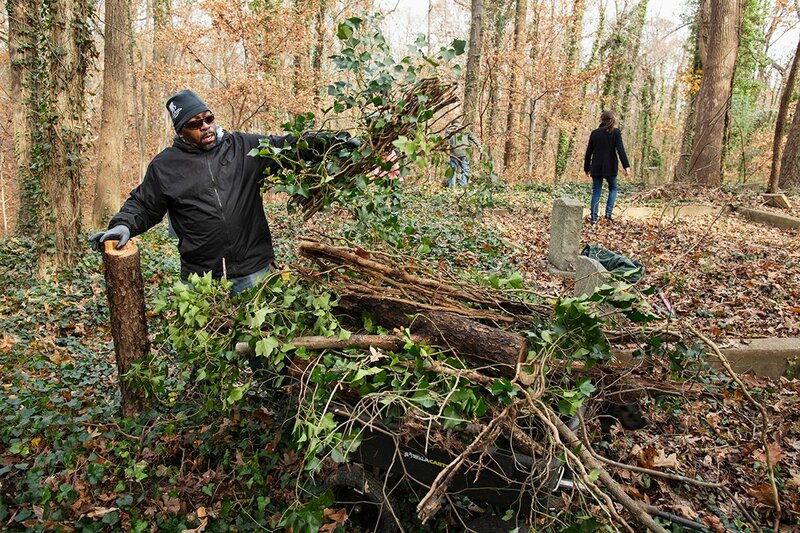 9 December 2018—East End Cemetery, Henrico Co. and Richmond, VA--Volunteers during work day, including veterans—Wounded Warriors—and regulars. 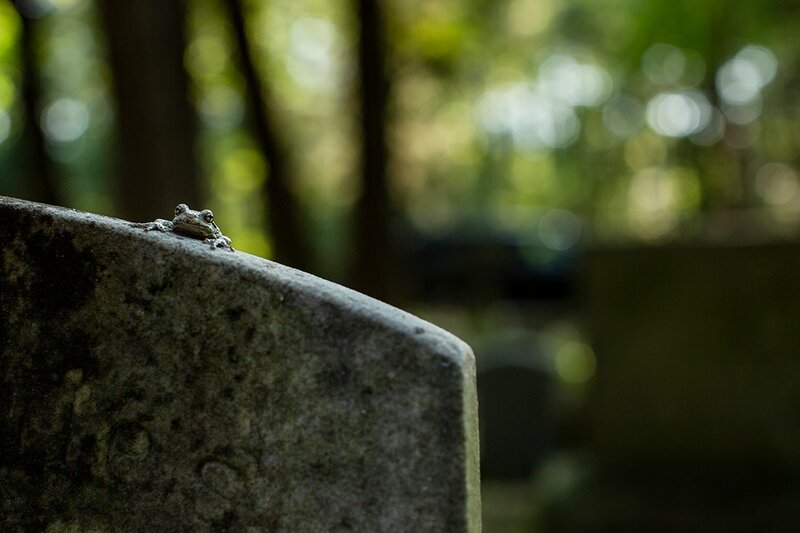 28 May 2018—East End Cemetery, Henrico County, VA.
East End Cemetery, July 2, 2018. 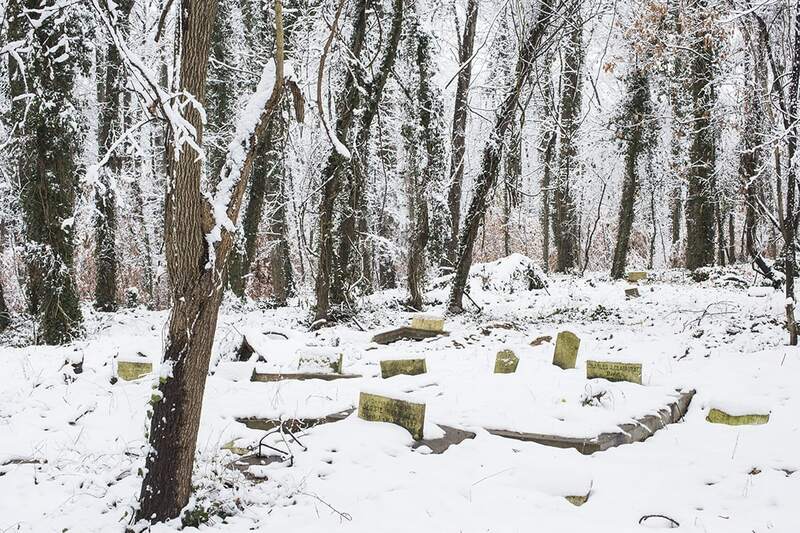 9 December 2017—East End Cemetery, Henrico Co., VA—Snow scenics; long exposures; Custalo stone. 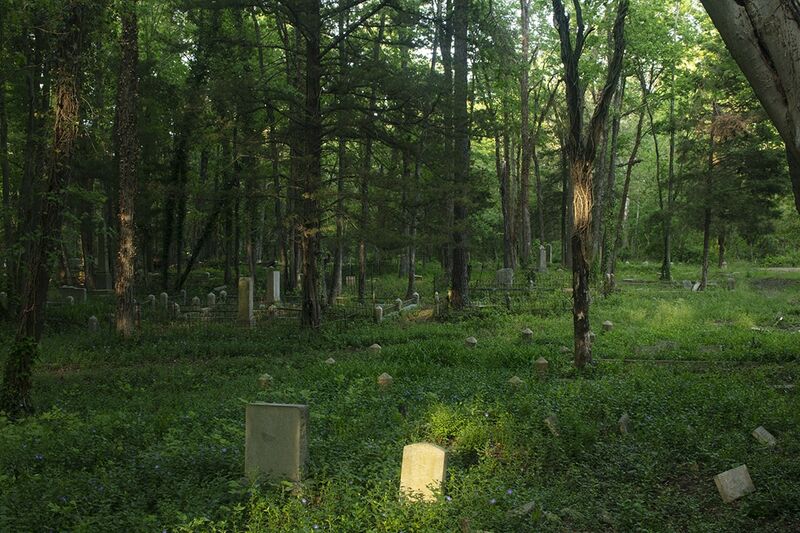 East end cemetery, April 25, 2015. 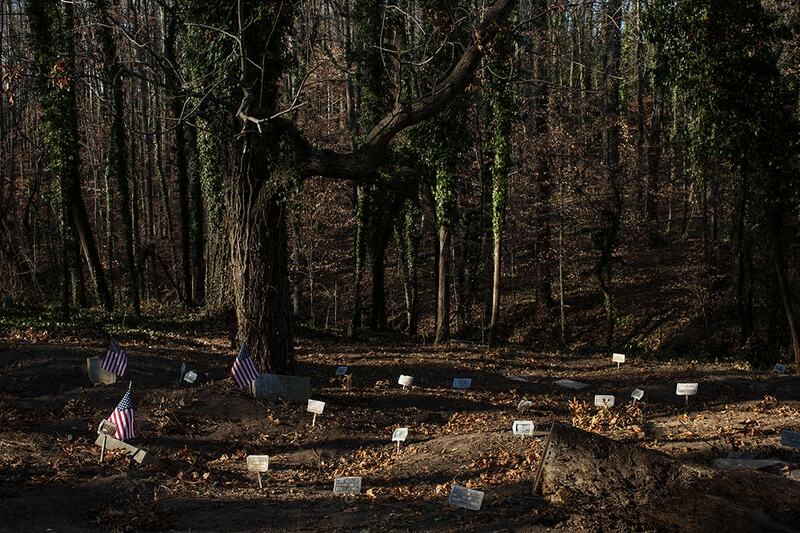 East End Cemetery, December 20, 2014.